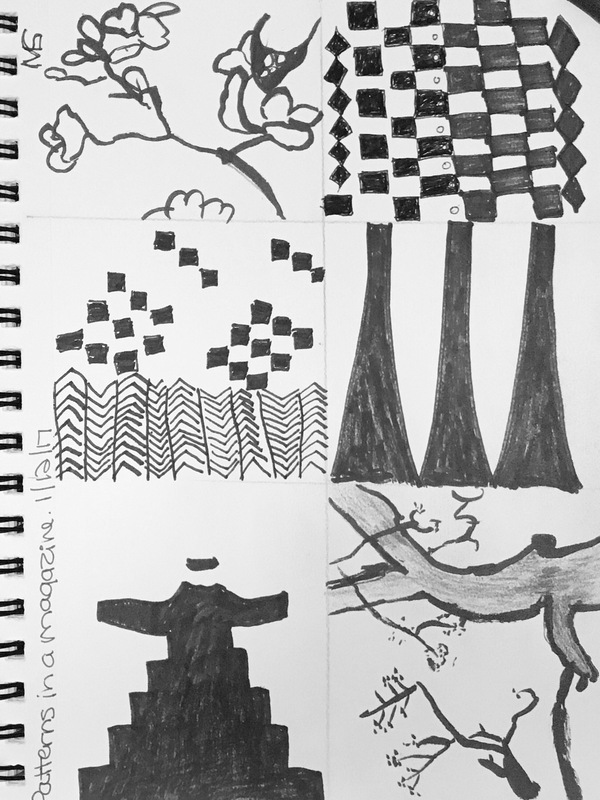 Yesterday in my class we were to draw patterns that we found in a magazine. I checked out a Vogue from the library and had fun flipping through it last night. It’s been a very long time since I’ve looked at a fashion magazine and I was a bit distracted and appalled at first by the the way women are depicted in the advertising. I kind of forgot about that. Eek. Once I got over my shock I got into the task at hand.